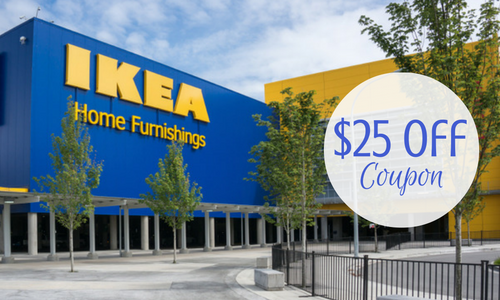 Check out this rare Ikea coupon to save $25 on your purchase of $150 or more before taxes. Note: this coupon cannot be combined with other IKEA offers or discounts except IKEA Family product offers. Cannot be use in Ikea restaurant or online. Find a location near you and print your coupon to get this deal.